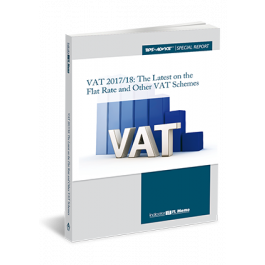 This Special Report brings together key information about VAT schemes. It explains who the schemes are for, how they work as well as their pros and cons. You’ll learn how to fully exploit the VAT schemes to minimise adminand even reduce your VAT bill. VAT legislation is a minefield of dos and don'ts. However, it includes special schemes that can reduce costs and even save you money. In simple language and with clear examples, this Special Report explains how to make the most of VAT schemes to minimise admin and save time and money.